Kojin Gaelyn Roshi is the abbot of Houston Zen Center, a Soto Zen temple in Suzuki Roshi’s lineage. before moving to Houston to establish its Zen Center in 2003. 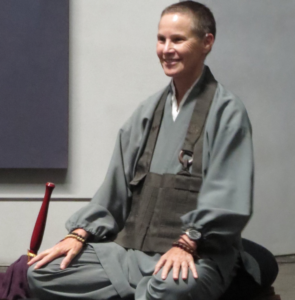 In September 2018, the Village Zendo was privileged to have her visit and offer us this inspiring Dharma talk.